Since we are only going to be in Paraguay two weeks this trip, we won’t be going to the little furnished apartment we rented before. This time we are staying in the little hotel connected to the French Club. A full breakfast is included and you can’t beat the proximity to the pool! It has been raining off and on and has cooled off somewhat at night with 75-80’s instead of 90-100’s during the day as they head into their fall season. The pool is deliciously refreshing and the bonus is that I am usually the only one swimming. My standard is unless it is as cold as Dickie Lake in Ontario that we swam in last August, then it is swimmable! It is actually nowhere near as cold as the lake was. I discovered a chapel at the hotel. What a beautiful little sanctuary, domed ceiling, stained glass windows, four little benches and a podium. Quiet and sound proof, perfect for morning prayers. I’m going to miss this little place set apart for the refreshing of the soul. Thank you Club Francés for including this in your hotel. I had the privilege of going with Mike to the International Tennis Club of Paraguay. This is a private club that has not only tennis, but every other sport that you can imagine including yoga and dance classes as well as chess clubs, soccer teams, and of course indoor and outdoor pools and tennis courts. Restaurants and reception halls, fountains and palm trees make it a beautiful place. The cost of Membership is $50,000 to join then an addition monthly fee. There are over 5,000 members (plus their families), it is huge! Mike did several trainings there four months ago and those he trained began meeting weekly in groups of 5-8 people to learn about and improve in godly values. Small steps over time bring great change! We came to attend the graduation of 300 employees and members who had completed the 16 week course. From the moment we walked in you could feel the excitement. Everyone was so enthusiastic and Mike was greeted so warmly. Everyone wants a picture with Mike, fun to watch 🙂 I get in on a few as well, and then there are the group shots. Here’s Mike surrounded by women! This is why I come – to let them all know he’s taken! 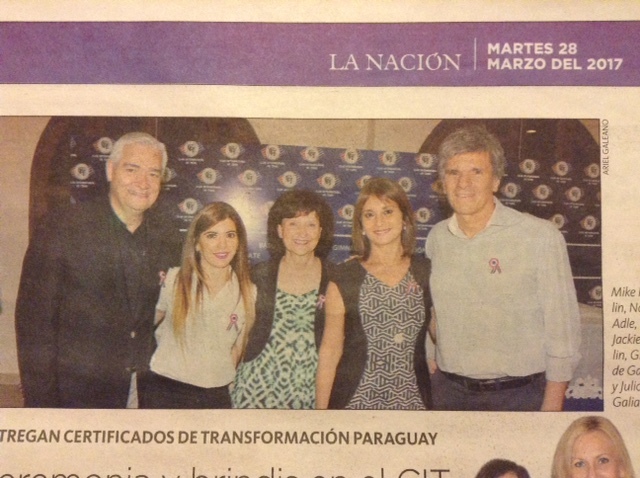 This picture was in the National Newspaper – we are with the President of the Club, his wife and his Administrator between Mike & I. The Minister of Education has committed to bring values to every school in Asunćion. Mike has been training the principals in principles and values. He has trained 700 principals so far. They will in turn have Round Tables with their staff and teachers who will eventually have Round Tables with their students. What a wonderful thing to get these values into the children to begin their lives on a solid foundation of how to make life work well. What a privilege this is. Mike also went to a prison and trained a couple hundred inmates. No air conditioning there, it’s a place you don’t want to be on a permanent basis! The wardens stayed the whole time which was very encouraging. Patty, a volunteer with Transformation Paraguay, and who has become a wonderful friend, took me to another center that she also volunteers at and gathers donations for. 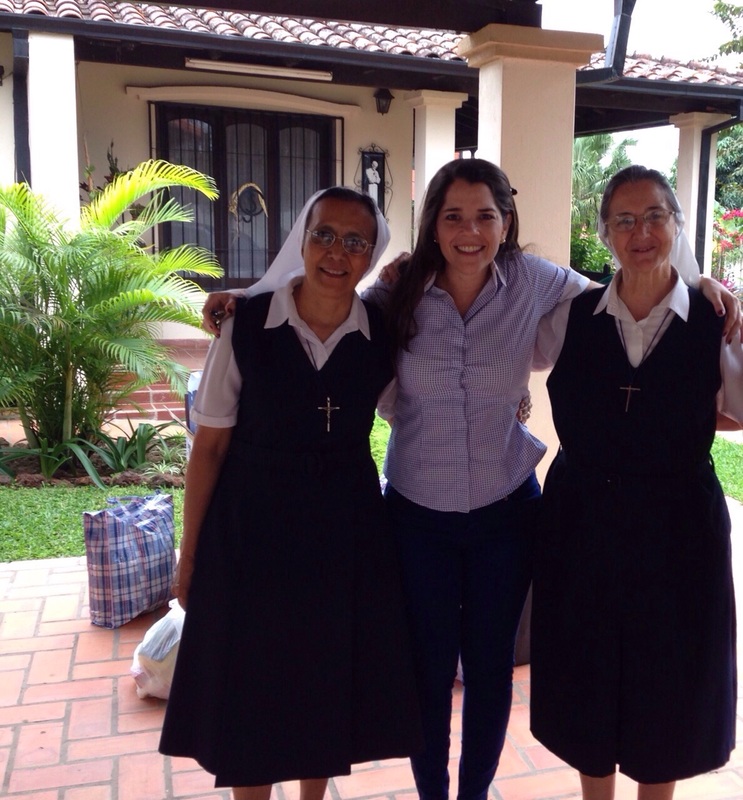 It is run by nuns who live on the premises and are sustained by generous donors. They provide a place for children whose parents work long hours and they are left alone at home or on the streets. These children come from very poor neighbourhoods, some don’t even have bathrooms in their makeshift houses. The nuns clean them up, get the lice out of their hair, cut their finger and toenails, teach them good habits and provide security that comes with routine and consistency. They are protected, loved, fed, bathed and allowed to play without fear. What an unbelievable job they are doing! These nuns have given their lives to help the downtrodden, the poor and needy in their country. There is no fanfare, no notoriety, no CBC documentaries about their lives. They are just serving where there is a need, selflessly, kindly, and with love. I was so impressed with the peaceful atmosphere, the order and cleanliness of the whole place. Raquel, a lawyer and another volunteer with Transformation Paraguay took me to visit the place where she works overseeing five community centers. They provide a place for forgotten seniors who live sad abandoned lives to come and interact with others, do activities, eat together, get some groceries to take home and be loved. There are also doctors who volunteer their time to come once a week and provide medical check-ups for the seniors and vaccinations for the neighbourhood children. There is even a psychologist who comes to help with emotional problems. All this is done by volunteers, unsung heroes in a harsh world and supported through foundations with no government support. There are good people doing good things everywhere, we don’t hear enough of these kinds of stories. How fortunate we are, our children have so much, we are indeed privileged. To whom much is given, much is required. It is important to see the needs and to try to help in some way. Our blessings should not be kept to ourselves, we are blessed to be a blessing. I was challenged anew to be more generous, to be more compassionate, to love more fully and to remember to be grateful for the abundance and advantages my family and I have had in my life. The planes flying out of Asuncion always leave at 1:00am or 2:00am to get into Panama early in the morning. While we were checking out of the hotel to go for our last supper in Paraguay, the news was full of the riot happening downtown. There were two issues. The Campesinos were protesting because they want more land to farm but after the last dictator was ousted the Government had bought up all the land and were not very forthcoming to sell it to the farmers. The second issue was that the current President, who has served his 5 year term wants to change the constitution to allow him to stay another 5 years. The memories of Stroessner dictatorship are still very alive and some people want none of that, or anything even close. So there were marches in the streets and a fire was set in the congress building. I guess it could have been a lot worse, and if the media had their way it would have escalated into a juicy, newsy, city wide protest/riot, but it did not and we left town without incident. The reaction of people was embarrassment by this display and most want to settle these disagreements peaceably. All in all a profitable two weeks in Paraguay. 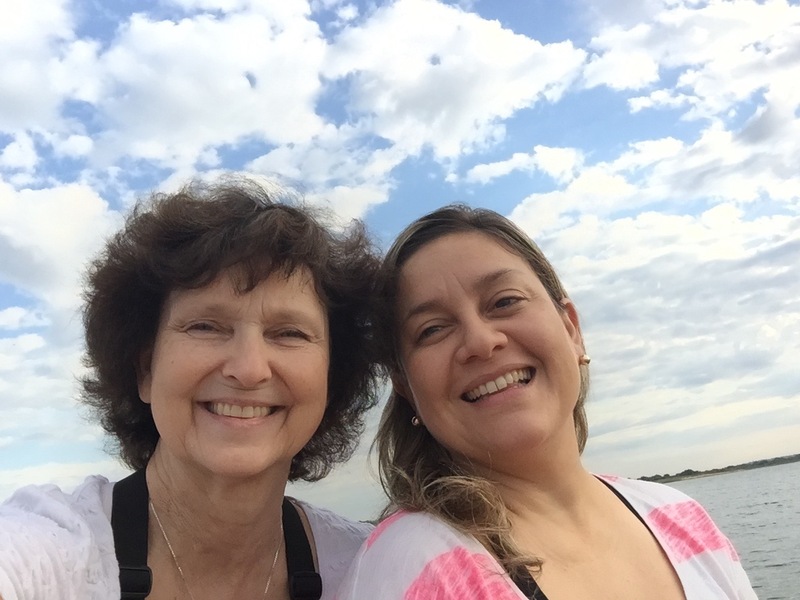 Another incredibly blessed two weeks in Paraguay – loved your beautiful accommodations, more amazing connections & a journey filled with divine appointments by God!! God is so good to you both!! Yes I’m feeling so incredibly blessed. We are at Hope of Life in Guatemala right now, will be writing all about it. So grateful for the country I was born in, parents I had, Christian upbringing, it’s humbling and makes me want to do so much more. I can never complain about anything ever again! Everything seems so petty compared to the lives of others so much less fortunate. And there are wonderful people doing wonderful things, can’t get too bogged down with the negative. Just do what I can where I am and leave the rest to God. Thanks for always reading and commenting, appreciate that so much. But we got in anyway and enjoyed it – for a short time! It was so great to all be together there, great memories.